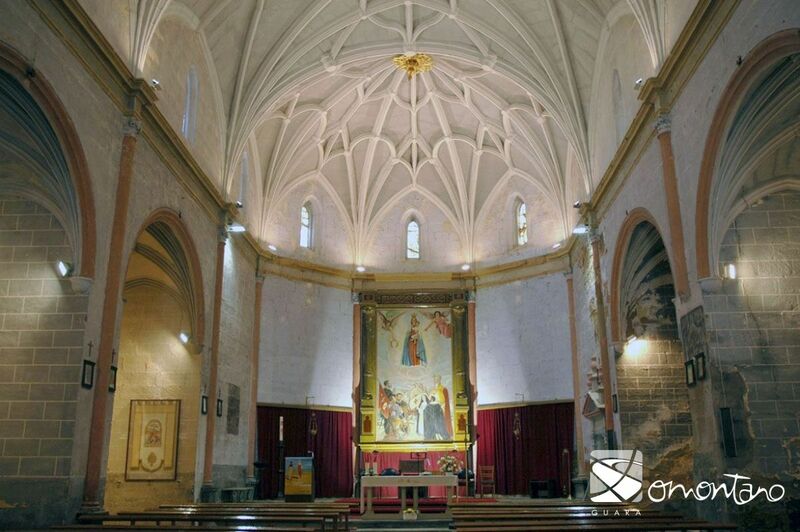 The parish church is dedicated to Nuestra Señora de las Victorias (Our Lady of the Victories) in commemoration of the Battle of Lepanto. It was constructed almost entirely from ashlars with the exception of the beautiful brick gallery of semi-circular arches that crown its walls. As is usual in temples constructed at this time (16th century) it has a polygonal east end and a single nave that incorporates small side chapels. 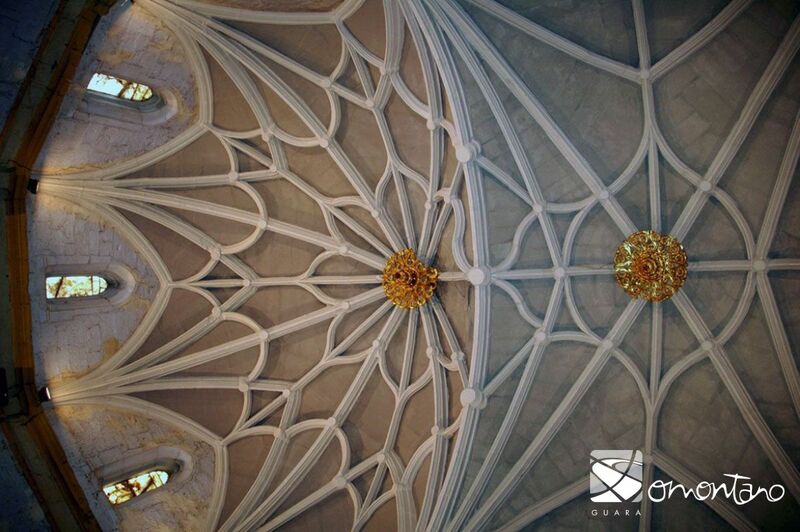 The interior is lit thanks to windows with pointed arches that still retain their original alabaster panes. Its rapid construction took place between the 16th and 17th centuries, and the decoration of the entrance doorway, dated at 1610, announces the arrival of the Baroque era. This is evident in the bulbous style of the column shafts to the side of the entrance. 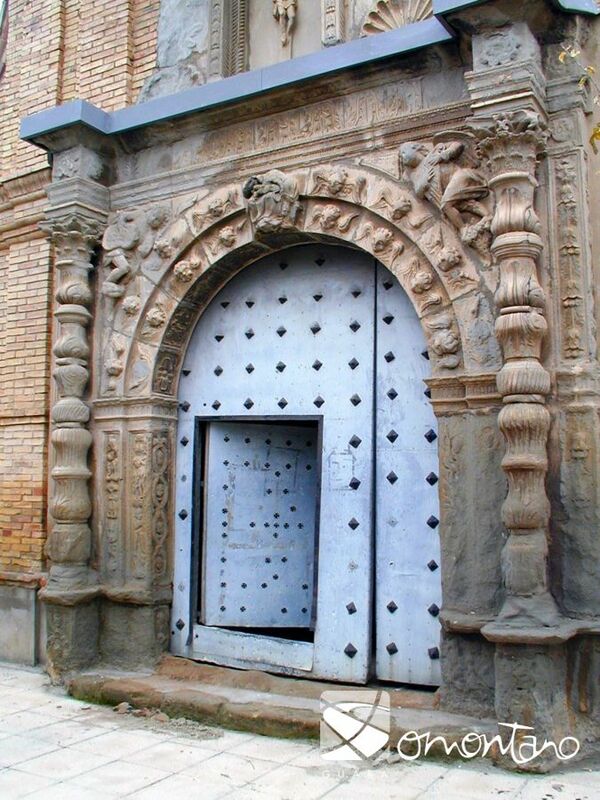 The relief of the door jambs has a pre-Columbian air similar to the church of Olsón in Sobrarbe. 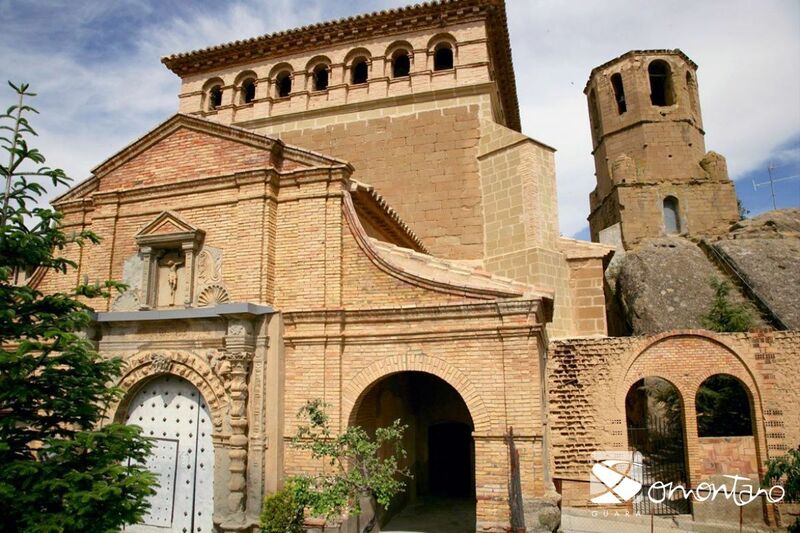 Both buildings carry the mark of the master builder, Joan Torón, who, together with Antonio Torón, made up a dynasty of master constructors, which was responsible for many of the grand projects of Somontano: Naval (1580) and Colungo and Guardia (1585.) A closer look at the walls of this church reveals a plethora of marks left by the stone masons. The tall tower that is fixed atop a rocky perch to the side of the church can be reached via a set of stairs carved from the rock. It has three parts; one square and two octagonal. The small turrets at the top of the tower were used to “conjure away” fierce storms.